Iowa fall turkey season only is for Iowa residents. Non-residents may participate in spring season. 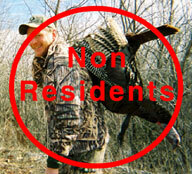 As Iowa fall turkey season is for residents alone we expect all Iowa residents know their wildlife regulations. Remainder of this article is how to maximize MAHA lease land. Both turkey and deer. Fall turkey season hunters are a minority in this organization. 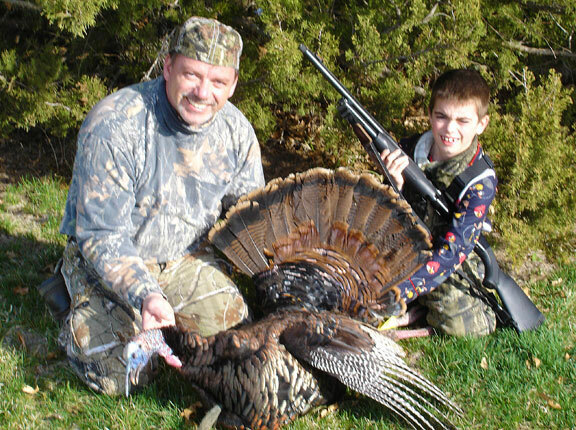 They will find little competition during fall turkey season outside of early archery whitetail hunters. Make reservations to individual spots, scout, hunt, change location with reservation, continue until tags filled. A short answer to our process. Reservations to insure we do not stack anyone up on any one spot. A longer description includes finding tranquility derived from always having more than several spots filling every day from first to last light. Our land is there, waiting. Each may travel without pressure of concern if land is available or if they will find another on it. This is where a relaxed approach is found. Satisfaction of having hunted enough comes at close of every trip. All available time may be spent in field. No time loss looking for access, discouragement from seeing boot prints of others. If a trip does not have tags filled comfort comes from knowing return trips may be scheduled. 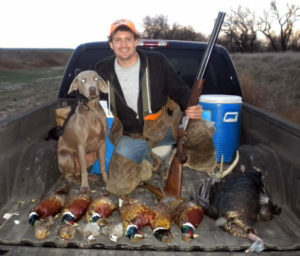 Dillion’s first, a fall season success. 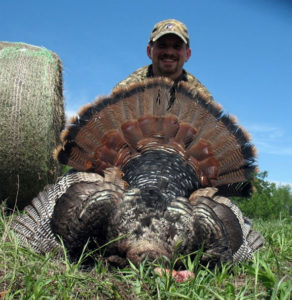 It is upland bird folks, not archery whitetail or fall turkey season hunters who harvest a majority of fall turkeys. A surprising statement we found to many to include that dogs are legal. A surprise to us how many Iowa residents we encountered who did not know of Iowa’s dogs laws hence our publishing it above. Upland folks find themselves in overlapping turkey cover. Most fall turkeys which are harvested are over pointing dogs. One more upland bird to add to to their bag. A fall turkey harvest often is happenstance to a deer hunt. Most will make a fall turkey harvest concurrent to a day in stand especially more so during earlier fall season. 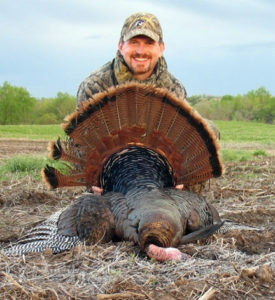 In terms of Iowa archery season, it is limited competition for making a good fall turkey season trip. Iowa’s limited and very competitive archery tag draw system keeps bow hunter numbers low. Frequently few in field on most days throughout the season until peak rut in mid-November. This one small snapshot focused on Iowa fall turkey season as just one resource to gain us all more field time. Multiplied by opportunities in Kansas and Missouri then all of us can easily get to a point when seasons do finally come to an end we can breath a sigh of relief that we will be able to stay home and not have to go outside! A realization few attain outside of our organization.